Visit any Small World Child Care Learning Center Locations and you will notice the difference from the moment you walk in. Parents tell us it feels like home. Everything we do at Small World Daycare Learning Center, from our professional staff to our safe clean environment assures parents that their child will be safe, happy and learning. Our Exclusive E.B.C.C.® Based Curriculum Exceeds National Early Child Education Standards! We understand that choosing child care is truly one of the most important decisions parents will ever make. Child development experts confirm that high-quality care in the formative years is instrumental in building positive relationships, self-concepts, and attitudes toward learning that will last a lifetime. Your child deserves nothing less than the best! · Meet and exceed health and safety regulations. · Environment appeals to your senses: sight, sound, smell. · Environment is comfortable, warm, and inviting. · Are well-equipped, child sized, age appropriate. · Have surveillance & monitor system. 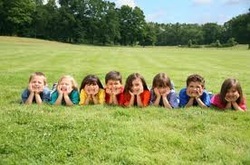 · Are experienced and educated in early childhood. · Are certified in pediatric first aid and CPR. 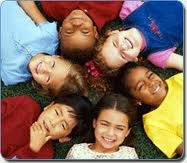 · Are affectionate, responsive, and sensitive to the children. · Support communication between families. · Provides the best value. · provide consistency and continuity of child care. · is monitored by registered nurse for health and safety practices.